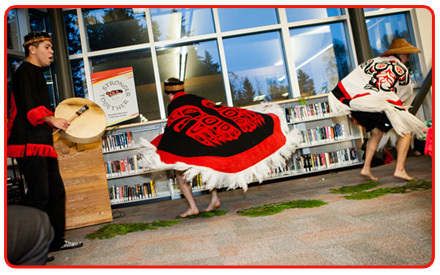 Burnaby School District’s Indigenous Education Program provides culturally relevant programming and services to students of Indigenous ancestry. 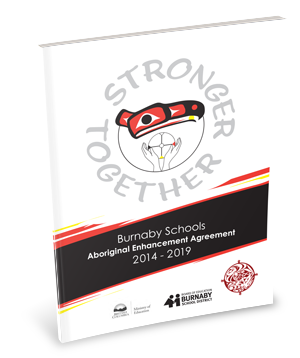 Our enhanced services are intended to create pathways to success for each and every student of Indigenous ancestry within Burnaby schools. To increase Indigenous learners’ connection to school and community with a sense of place and belonging that supports and reflects Indigenous cultural values and perspectives. 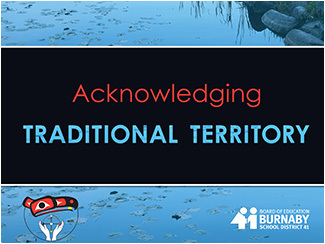 To increase the knowledge and understanding of Indigenous history, traditions and cultures for all learners, supported by the wider school and community. To enhance academic achievement of all Indigenous learners within the Burnaby School District. Working collaboratively with school and District staff, Indigenous Education staff provide ongoing services to our students of Indigenous ancestry that support the goals of the Enhancement Agreement and students long term success. By acknowledging the traditional territories of the Coast Salish Nations of Musqueam, Tsleil Waututh and Squamish, our programs and services look to provide awareness of the rich history of our community, while respecting the diversity of our urban Indigenous community within Burnaby.